"Blessed Are the Trip Takers" is the message printed on the bottom inner sleeve of Phosphorescent Harvest, the new album due April 29 from vintage-rock collective the Chris Robinson Brotherhood. It's a fitting statement, given that the group is foremost a free-flowing exploration of psychedelia and soul infused with philosophical tidings. Named after and fronted by the former Black Crowes sibling, the Brotherhood return with their third release since forming in 2011. Phosphorescent Harvest furthers the group's focus on experimentation over confining pop standards, and again proves that Robinson and company are not out to shape their music for anyone but themselves. The new album is a kaleidoscopic take on roots music, with guitarist Neal Casal, keyboardist Adam MacDougall, drummer George Sluppick and bassist Mark Dutton joining Robinson in writing and performing. Together they create a cohesive blend of spacey freak folk, ambitious Americana and classic stomping California rock. 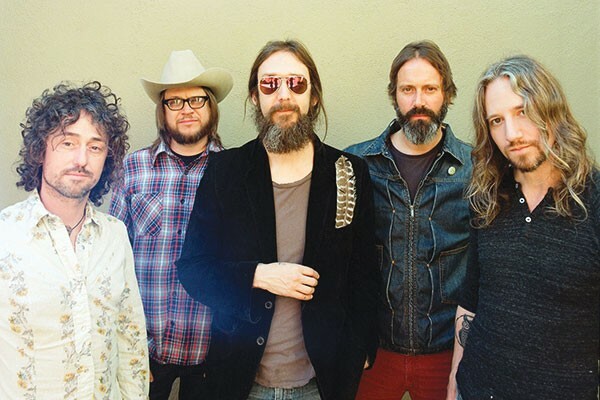 The Chris Robinson Brotherhood kick off their U.S. tour in support of Phosphorescent Harvest with three nights, continuing through May 1, at Terrapin Crossroads, 100 Yacht Club Drive, San Rafael. 8pm. $35.